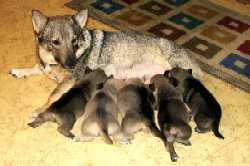 Search and adopt a Swedish Vallhund near you. Kept as a farm dog and used for herding cattle. Intelligent, alert and energetic. Friendly, eager to please, active, and steady.